Sgt. Ruedell H. Thomason, son of Mrs. Jim Thomason, attended Frederick High School; husband of the former Hazel Johnson. 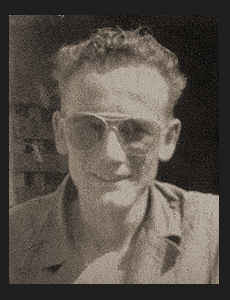 Entered Air Corps in Jan., 1943, trained in Jefferson Brks., Mo., Alliance, Neb., Sedalia, Mo., Baer Field, Ind., Keesler Field, Miss., Gulfport, Miss., Camp Mackall, N. C.; went overseas in Oct., 1944, served in Hawaii where he is now on duty. Awarded Good Conduct medal, Asiatic Pacific Ribbon.